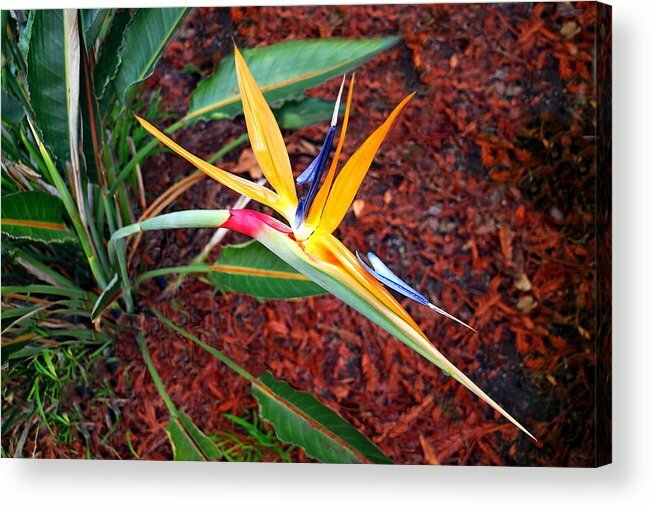 Exotic Bird Of Paradise by Joyce Dickens - 10.000" x 6.625"
Exotic Bird Of Paradise acrylic print by Joyce Dickens. Bring your artwork to life with the stylish lines and added depth of an acrylic print. Your image gets printed directly onto the back of a 1/4" thick sheet of clear acrylic. The high gloss of the acrylic sheet complements the rich colors of any image to produce stunning results. Two different mounting options are available, see below. I am happy to announce your artwork is being featured on the homepage of the Wisconsin Flowers and Scenery group. It is with great pleasure for me to show recognition to our active members of our family of friends and fine artists. Congratulations on your feature! WOW, what an amazing beautiful capture. 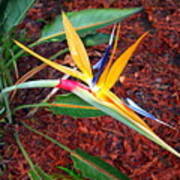 Love all the colors of the flower and details. Perfect angle Joyce and great colours, VLF. Hi Al, thanks so much my friend!!! All the things posted today display a wide range of artistic talent, Joyce. Impressive work. Jeanne, thanks so much; you so ROCK!!! 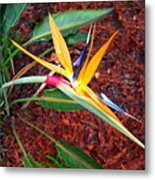 Fabulous exotic and elegant bloom, and gorgeous colors and shot! I love this Joyce! l/f! William, such a lovely compliment my friend; thanks so much! Thanks so much my sweet friend; you are a true blessing; and I appreciate you so much!! !